The most sought after Disney World Vacation discount is back! 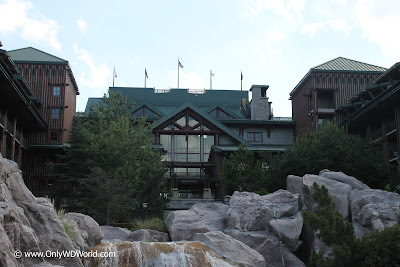 The Disney FREE Dining Promotion has returned for selected dates for Fall 2012 for Disney Visa Cardholders. If you are a current Disney Visa Cardholder you qualify for this special discount before it is available to the general public. This means that you can take advantage of a larger selection of rooms for this very, very popular discount. * Shorter stays may also qualify. Contact Only WDWorld Travel for additional details and to book your Disney Vacation before this promotion is gone! Vacations booked at one of Disney World's Value Resorts receive Free Disney Quick Service Dining Plan for everyone staying in your room for the entire stay. 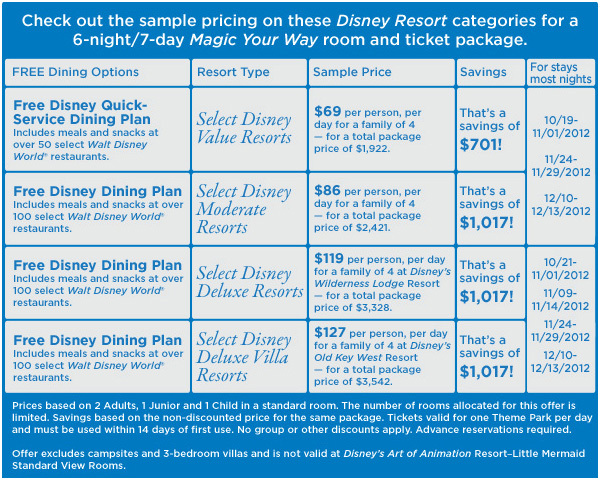 Vacations booked at one of Disney World's Moderate Resorts, Deluxe Resorts, or Deluxe Villa Resorts will receive the Disney Dining Plan for Free for everyone staying in their room for the entire stay. 1 comments to "Disney FREE Dining Returns For Fall 2012 With Disney Visa"
This is terribly useful web site..